Date night is something all couples should make time for. Whether you’ve been married for decades or just started dating, date nights are a great way to connect. This post is brought to you by Outback Steakhouse. As an Outback Bestmate I received compensation, but all opinions are my own. Mike and I have not had an actual vacation together since our wedding. That means we need regular date nights. Time flies so quickly and it’s easy to get stuck on the hamster wheel of daily life. One day you realize that it’s been months since you’ve shared any real quality time together. Thankfully, Outback has declared itself the Official Sponsor of Date Night to help couples steak out more time for each other with deals they cannot refuse. Outback’s New American Romance study uncovered the hard truth behind America’s date night problem – people are too busy for the one they love. More than half of those surveyed said they need at least one date night per month to keep the spark alive, but shockingly 56% can’t remember their last date night! 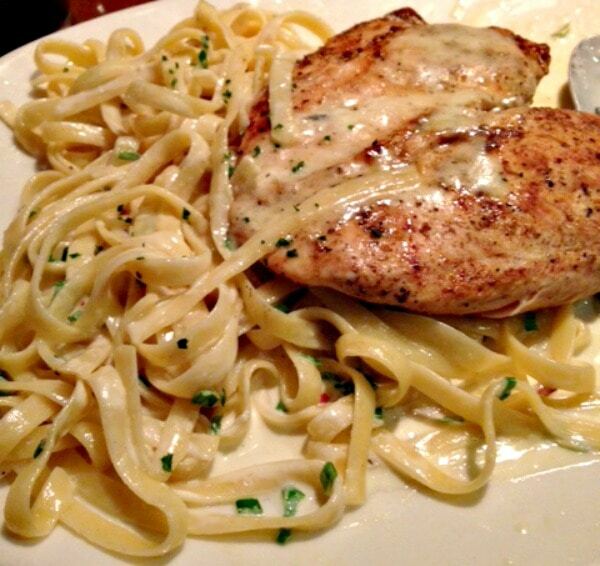 Or, have your Date Night Meal with two 6oz. filets or one 8oz. sirloin and one 6 oz. filet. Ask your server for details. For couples who have let their busy calendars get in the way of time together, Outback is asking them to share a #TBT photo on Facebook that captures that first spark, transporting them back to a moment when even a busy schedule couldn’t come between them. * Price, product participation and restaurant hours may vary by location. Mike and I took Shelley and Evan on a double date night. Dining out is about so much more than the food. We enjoyed great conversation and laughed a lot. Of course we also stuffed our faces, but in great company! Date night will definitely be getting marked in the calendar as a regular priority. Outback Steakhouse is a great place to make that happen with their casual and fun atmosphere, great prices, and delicious food. We just had a date ‘day’ and we went to Wurstfest. So nice to get away from the kids. I love me some Outback… The food is amazing. We love Outback Steakhouse. Our date night is usually dinner there before hitting a movie. Ha! Mine was at Outback too, and I had a filet which was unbelievably tender. Yum, yum, yum! 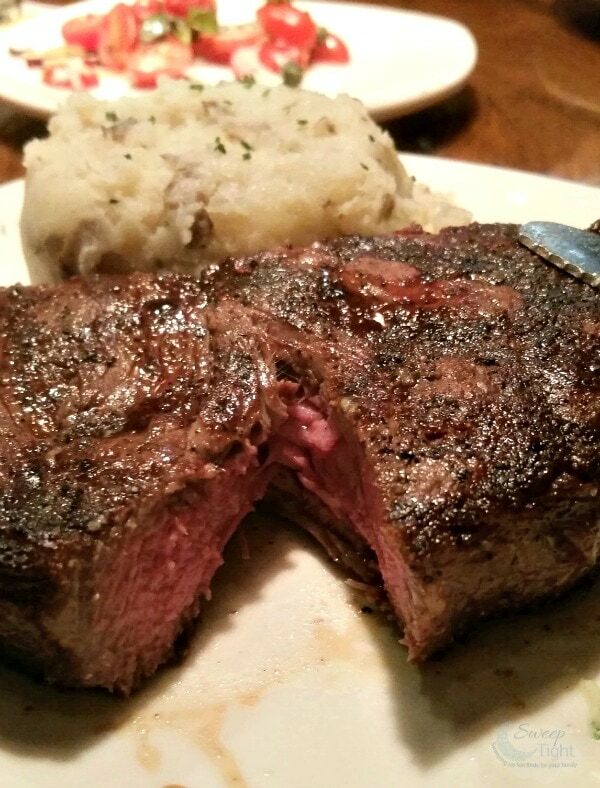 Outback is one of our favorite places to go for date night. I don’t like sharing my Blooming Onion, though. Our last date night was about 3 months ago we just made it happen! We are long overdue for a date night. The Awesome Blossom looks so yummy!! Is that first picture the blooming onion??? I want to try it. Bad! I love onions and that’s a new presentation for me. Love Outback. You are never to old for date night. Besides it really throws the grandkids for a loop when Granny and Papa have one. 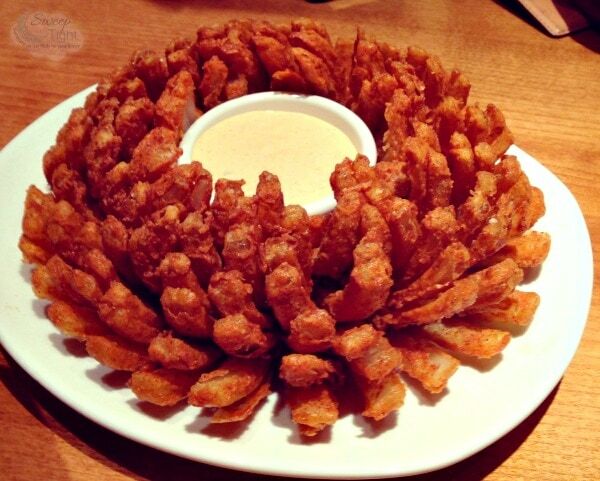 Oh wow, that Bloomin Onion looks divine! My husband and I love our date nights – we will have to give Outback a try! We were just talking tonight about how we haven’t had a date night in so long. I really have to get out, and soon! I want a good date night with my man. We enjoy going to Outback, the food is so delicious. I really want a Bloomin Onion now. 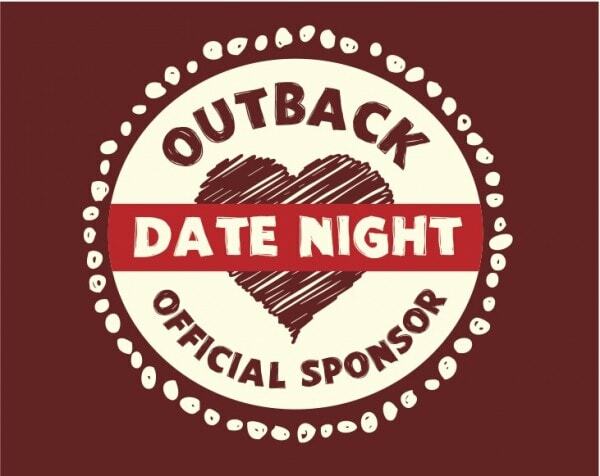 I love that Outback is a date night sponsor! My husband and I love going to Outback, that’s where we usually have our dates anyway! I have never eaten at an Outback Steakhouse before, there isn’t one near me, but sometimes see them when I travel, I will have to stop in one of these days! We had a date night last night but didn’t make it to Outback. We usually eat at Outback at least once a month, though. One of our faves! This is a lot of food for Date Night and the Bloomin Onion is so good. I like what I can get for Date Night at Outback and want to do this soon. The food is so good at Outback! Outback is one of my favorite places to eat. Good thing its a bit of a drive or I would want to eat there all the time. We eat at Outback at least once a month. 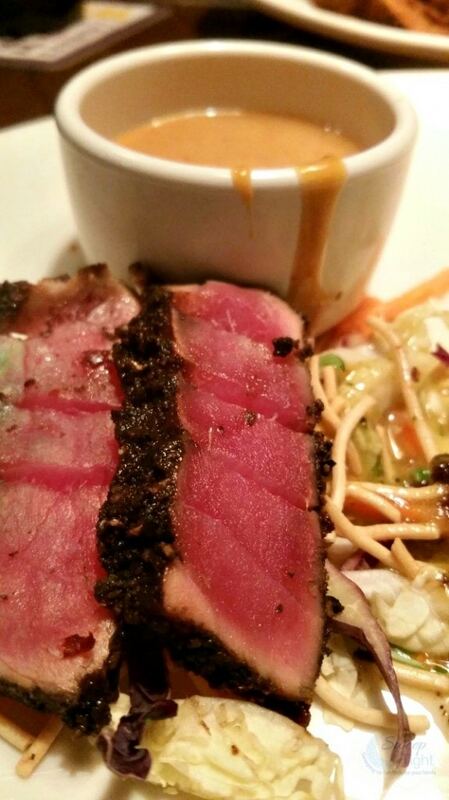 We love the call-ahead seating and the service and food is always consistent and good. I love Outback. We try to have a date night once a month. I love their happy hour menu! 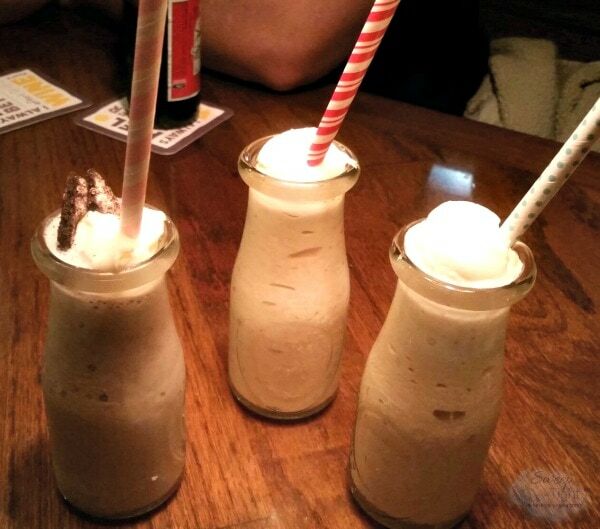 So many awesome cocktails. YUM! We have not been to Outback in some time. Usually the food is really good. Date nights are so important. Not only are they fun, but they can help keep your relationship fresh and in touch. My kids don’t get to stay with their grandparents or anything so that we can go out for a date night. I suppose we could hire a sitter but we just never do. This is a great reminder that my husband and I need to take time to reconnect. I’d love to go to the Outback for a romantic, quiet adult dinner where I don’t have to order a meal that my child will eat.